No doubt, you were very disappointed when you went to NAMM last year. We’ve all heard the stories of techs having to talk to their therapists to get over the absence of MusicMedic. We took last year off but heard 2017 was a sleeper with hardly any parties and nothing to do. So saddddd. Well, don’t worry because things are looking up! 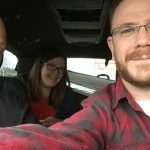 MusicMedic is coming back in an even bigger way this year from Jan 25-28, 2018. We rented a party house, a party van, and you’re invited to join the MusicMedic team for the best ever NAMM show! Who will you see this year at the Booth #9429? But that’s not all! You can bet your bottom dollar that you’ll see Lee and Don from Lee’s Sax Worx! And, Jim Schmidt from JS Engineering! 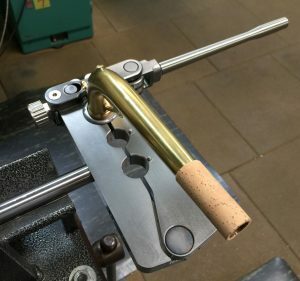 New made-in-house tools like tenon shrinkers, parallel spring removing pliers, the flute body mandrel with the most workspace, chain nose parallel pliers, saxophone body mandrels and dent balls. 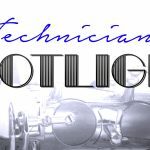 All of the tools are designed, tested, and manufactured in Wilmington, North Carolina by our superstar machinist and the Sax ProShop. Rick will have some of his latest prototypes as well, including expanders, rod straightening pliers, and key cutters. Great new pads from our Pad Company, including Soft-Feel Pads, EXTREME Pads in white, black, and chocolate, and RooPads for Saxophone, Clarinet, and NOW!, Bass Clarinet. Check out the evolution of the finest and most affordable pads made in the USA. If we could put our “no backorders” in the booth, that’d be up there too, but displays are for tactile items only. 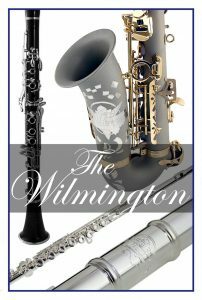 Our new Wilmington line will be on display- the flagship alto sax, clarinet, flute, and maybe even the new bass clarinet! This affordable leading quality line was designed by the Sax ProShop team and is set-up in-house. This year’s gonna be super cool, or like Curt says, UberCool! Check out all our new stuff, join us for our traditional 4:30 pm libations, and jump in the party van so we can continue our geek conversations at the party Hausss! The Sax ProShop is Going on the Road Again!